Hang this flag to give warning and show the location of your Vampire Lair. 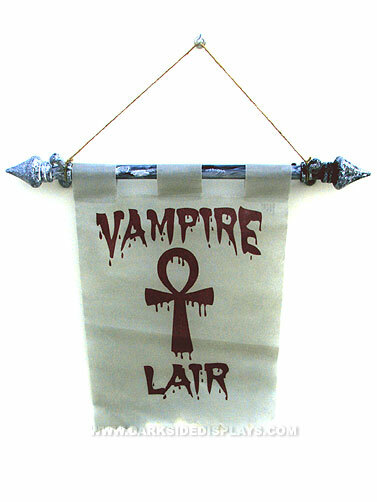 Polyester flag has the word's Vampire Lair and features the Ankh symbol, which represents eternal life. Flag measures 17.5"L x 12"W and is attached to a plastic pole that measures 20"L. Includes attached twine for hanging.